I have entitled this series ‘Looking Forward’, because it is meant to suggest positive measures that would strengthen institutions. That seems to me the best outcome of the tensions that have arisen, with all sides now seeming to be convinced that, because of the inequities of others, they do not need to ensure that their own mistakes will also not be repeated. There were five distinct steps that Jayewardene took that led to protracted suffering for the country. 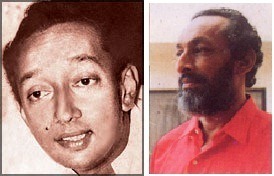 In this light, it may be useful also to look back at the mistakes of the Jayewardene government, because it is vital that, having so successfully overcome the terrorist threat, this government does not repeat some of the mistakes that Jayewardene did in his consolidation of a monolithic power structure. 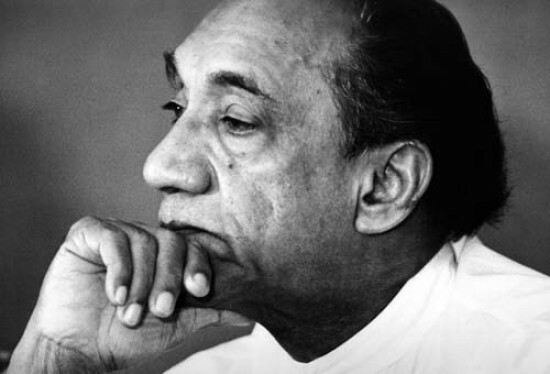 There were five distinct steps that Jayewardene took that led to protracted suffering for the country. In essence they all arose from his determination to brook no dissent. The first was the deprivation of Mrs Bandaranaike’s Civic Rights, using a Kangaroo Court, which he claimed was acceptable since it consisted of members of the Judiciary. The manner in which the three individuals he handpicked to destroy Mrs Bandaranaike made their decisions is ample evidence that judges are not necessarily trustworthy or guardians of democratic practice. Cyril Mathew, the Speaker ruled this out on the grounds that the matter was Sub Judice (previously the Speaker had ignored the fact that Mrs Bandaranaike had made an appeal to the Courts against the move to deprive her of her Civic Rights, but the Prime Minister had claimed that Parliament would not allow such appeals to restrict its decisions). After Parliament was thus prevented from discussing Mathew’s role in the violence in Jaffna including the burning of the Public Library, the government then introduced a motion of No-Confidence against the Leader of the Opposition, Mr Amirthalingam. The propaganda deployed against him was viciously racist, and contributed to anti-Tamil violence in many areas of the country in August 1981, though on that occasion Colombo was not touched, which is why the elite continued to support Jayewardene. They did this in the 1982 Presidential Election, which Mrs Bandaranaike had been prevented from contesting. Hector Kobbekaduwa however did fairly well, even without the support of Anura Bandaranaike and the more centrist elements in the SLFP, which prompted Jayewardene’s next and most cynical subversion of democracy (though it has been argued that he had planned this from the start). I refer to the Referendum whereby he amended the Constitution to allow the interim Parliament (with the massive majority he commanded on the previous First Past the Post system) to continue for a further 6 years. Given the massive thuggery employed, and the jailing of Vijaya Kumaranatunga, who had in effect been Hector Kobbekaduwa’s campaign manager, the result had no credibility, and opposition began to move underground. The terrorist groups in the North, which had not been able to influence the TULF to boycott the 1981 District Council elections, had been able the next year to stop them contesting local elections, and by 1983 they were in a position to supersede the parliamentarians who had been elected 6 years earlier. Constitution to ban separatism. This was how the infamous 6th Amendment was introduced, which led to the TULF, which had in any case fled for refuge to India when the pogrom was unleashed, abandoning Parliament, thus leaving the field open to the terrorist groups. And then Jayewardene sealed the doom of the country, by hastily backtracking when he realized that his Western backers, who had solidly supported him through the first three blunders (this was when they saw such moves as ensuring strong government, to overcome socialist tendencies in the Cold War period – Pinochet and other ghastly Latin American dictators, Suharto and his ilk in Asia), found the pogrom unacceptable. He claimed then that it had been perpetrated by the Marxist parties, and actually jailed Communists and Revolutionary Trotskyists and the JVP. underground, which was its most effective way of operating. And so we had the southern insurrection of the late eighties, to parallel the increasing power of terrorists in the North. I hope none of this will be repeated. Certainly I believe there are enormous differences between this government and that of President Jayewardene, and the political culture is much less conducive to authoritarianism. But I fear that there will be those in government who will try to consolidate power and thus undermine government as happened in the eighties. The recent claim that there would be a Vote of No Confidence in Opposition MPs who attended the courts is of a piece with what happened to the Leader of the Opposition in 1981, and while there is absolutely no reason why Parliament should have confidence in opposition MPs, efforts to denigrate them by passing such a motion can have the most dangerous and divisive consequences. Given the tremendous developmental initiatives of the government, it would be tragic if such commitment to people’s welfare were overshadowed by intolerance of dissident voices.